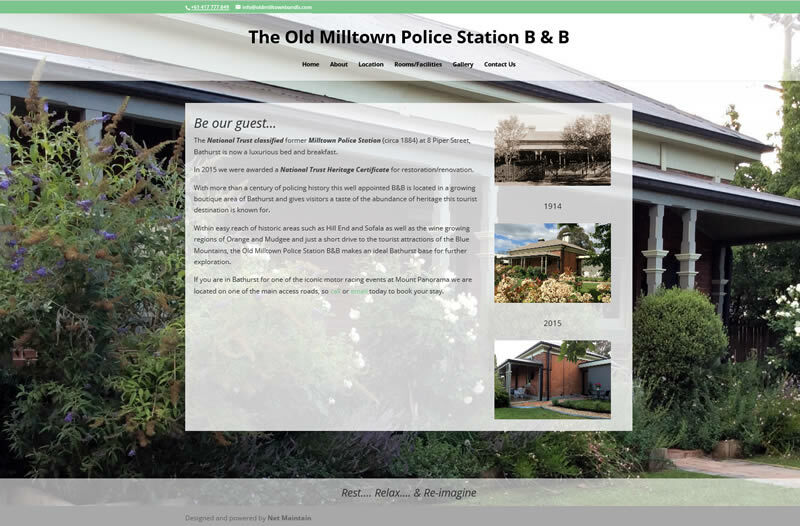 This National Trust classified former Milltown Police Station (circa 1884) at 8 Piper Street, Bathurst is now a luxurious bed and breakfast. The clients had this website built to help promote the conversion of this historical building into a B&B. Information on the facilities and a comprehensive gallery of images including rooms and grounds are the highlights of this website. There are also instructions on finding the building as well as local places of interest and their proximity. Visitors can find information on the history of the building and its previous use including photos of the holding cell.